A few days earlier, my Dreamcast didn't read any burned games. Official games worked just fine (except for Sonic Adventure 2). After calibrating the laser the burned games now work again and the official games still work just fine, but Sonic Adventure 2 still doesn't work. The game actually does boot up, but it never goes past the Sega and Sonic Team logo's. The screen will stay black. After calibrating the laser there is actually a difference. The game now also shows the SA2 logo intro, but without sound. After that, the screen stays white (or black if you skip the intro). The game is an official copy and is in perfect condition, so what causes this? Is my laser still not good enough, or is my copy broken? Sounds like you need a new laser unfortunately. Personally, if you have the funds I recommend investing in a Usb-GDrom, Gdemu, or even do a hard drive mod. Are you sure SA2 is not s reproduction? Do you see a outer ring on the disc when you turn it upside down? Xiden wrote: Sounds like you need a new laser unfortunately. Personally, if you have the funds I recommend investing in a Usb-GDrom, Gdemu, or even do a hard drive mod. I don't want to modify my console and I want to use my official game discs, so I'll go for a new laser then. However, there are tons of different lasers available on the internet. What would be a good one to use? About SA2, It says "TRADEMARK SEGA" on the back of the disc, so I'm pretty sure it's a legit copy. I also don't see the outer ring you speak of. Y-Stylzz wrote: The game actually does boot up, but it never goes past the Sega and Sonic Team logo's. The screen will stay black. After calibrating the laser there is actually a difference. The game now also shows the SA2 logo intro, but without sound. After that, the screen stays white (or black if you skip the intro). so was this disc "NEW"? or did you mean you got it used, but to you, its a new game? Well, the game is actually not new. It's used, but in perfect condition. There are no scratches on the disc at all. Possibly re surfaced? I had a sonic adventure game simple not work also. Disc looked mint. I ended up getting another copy and now it all works. Possibly some fail production from factory who pressed DC games back then. I bought 10 ntsc u games back in 2003 from Liksang and 3 of them it was failed to read from Dreamcast. The-Amazing-Mr_V wrote: Possibly re surfaced? I had a sonic adventure game simple not work also. Disc looked mint. I ended up getting another copy and now it all works. I don't think the game is resurfaced. I have actually some resurfaced original Xbox games and if you take a close look, you can defenitely tell, but I can't see any signs of resurfacing on Sonic Adventure 2. DarkSynbios wrote: Possibly some fail production from factory who pressed DC games back then. I bought 10 ntsc u games back in 2003 from Liksang and 3 of them it was failed to read from Dreamcast. Yeah, I think this might be the case then. 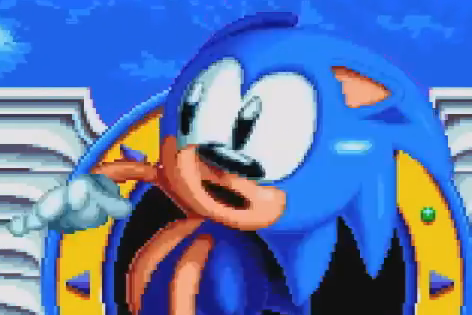 I actually just downloaded SA2 and burned it on a disc to see if that works and it actually plays perfectly. Looks like I need to contact that seller on eBay. I don't think this is the first time this has happened with this game. My long drought has ended. Finally bagged a SEALED Copy of the ALL STARS Pressing of SA 1 FOR $10. Sonic Adventure 1+2 Custom DLC?